The first review of October is perfect for the month of Halloween. It has curses, it has monsters, it has mayhem, and much more! It's Max: The Curse of Brotherhood, and it's the Nintendo Switch version which is the basis for this review. Will Max's latest adventure draw you in? If you've ever had a brother or sister when you were young, you might have sometimes wished that they'd just go away--disappear off the face of the earth. That's what our protagonist Max of Max: The Curse of Brotherhood asked of his younger brother Felix. After reciting an online poem (let that be a lesson to you kiddies on the dangers of the Internet), Max inadvertently calls upon a portal upon which a giant monster hand appears. It grabs Felix and pulls him inside into a harsh, dangerous world. Max makes no hesitation in jumping into the portal after Felix--whether as a show of actual caring for Felix or because he doesn't want to get screamed at by his parents, is anyone's guess. 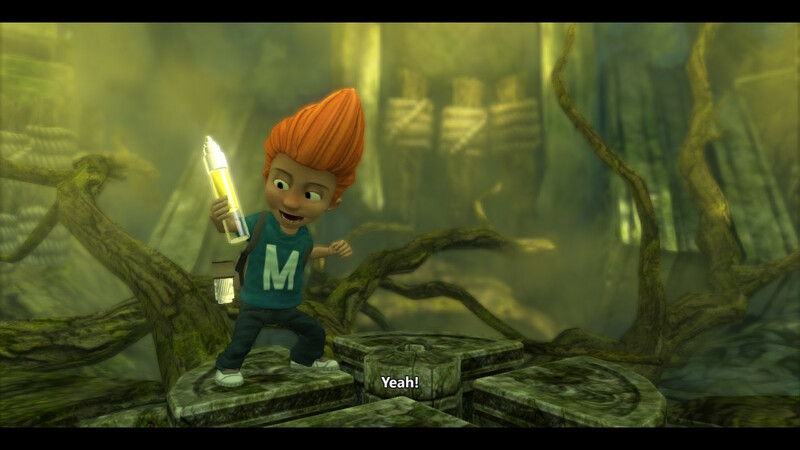 Max: The Curse of Brotherhood is the followup to 2010's Max & the Magic Marker, which originally debuted on Nintendo's WiiWare service. In that game, Max used the eponymous marker and the player freely drew lines (as long as they had enough ink available to them) to create platforms and other helpful objects for Max to traverse. As Max progresses in his journey to rescue his brother Felix, his magic marker gains new capabilities. In Max: The Curse of Brotherhood, Max still has the aid of his magic marker, but this time around players can't just freely draw whenever and wherever they want. Instead, there are special drawing points upon where objects can be drawn from them. These take the form of different colors, thus creating different objects. Orange anchor points can spawn pillars to lift objects and Max himself to new heights. Green anchor points create vines and tree limbs that serve as a means to cross pits and chasms either by swinging across vines or walking across the tree limbs. Meanwhile, blue anchor points summon a flow of water that can push and fling Max across far distances. There are other colors used as well, and these are unlocked slowly and paced well enough that I never felt the game lingered on any one idea for too long. Likewise, I never felt that the game introduced too many gameplay concepts too quickly either. Rise pillars directly from the earth when drawing points are orange. Levels do introduce new ways to interact with draw points on a consistent basis. The aforementioned pillar that I drew to rise Max to a higher destination was also used to transport an enemy from a low location to a high one as well. I even pushed a rectangular box halfway on to a draw point, so when I drew a pillar, the box flipped so it changed from being length-ways to height-ways. I could then push the box onto the draw point, jump on top of the box, and with the newly created pillar, Max was able to reach the top of the cliff in order to proceed in the level. There's a lot of that kind of lateral thinking to be found within Max: The Curse of Brotherhood, and it can occasionally be a bit obtuse. And use them to assist in some truly tricky puzzling challenges! 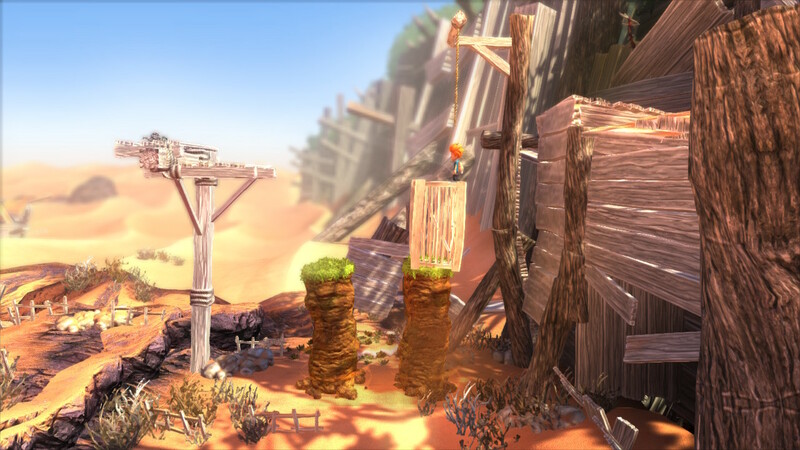 In the latter half of the game, Max: The Curse of Brotherhood also likes to employ puzzles that combine various types of draw points in to one challenge. 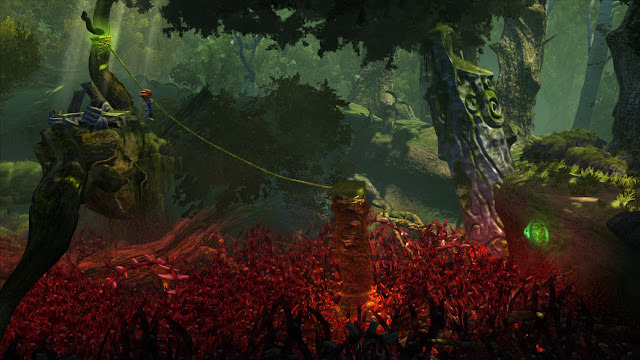 A simple example early in the game required me to draw a pillar and a vine from two separate draw points in order to cross a deadly pit of thorns. I drew the pillar and instead of just drawing a vine that dangled by itself, I connected the vine to the pillar, using said pillar as anchor point. This allowed Max to shimmy from the pillar to the middle of the vine. Next, I destroyed the pillar so the vine would start swinging, allowing Max to safely leap to the next platform unharmed. Now would NOT be a good time to be a butterfingers, Max. 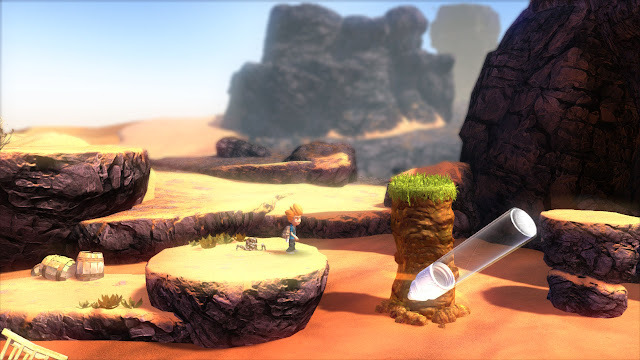 As smart as some of the puzzles in Max: The Curse of Brotherhood are, what seems a bit off is that with the Switch version--complete with its own touch screen in handheld mode--does not utilize this for drawing objects. Instead, I had to use the analog stick while holding ZR and A buttons to draw objects, which wasn't always the most precise. Trying to draw something while a massive monster is chasing my character Max wasn't optimal. Sure, many times the game entered slow motion to allow me time to draw something quickly, but that option wasn't always available to me. That results in some... well, very unpleasant deaths, all things considered. Between Max screaming for his life as his body erupts into flames when he falls in lava and being swallowed whole by the previously mentioned monster, death is rather gauche when it concerns a kid character. Regardless, these deaths don't really adversely affect the game by means of Max's adventure containing myriad checkpoints. 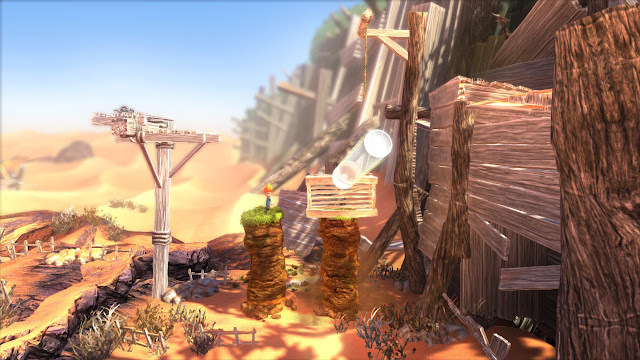 Seldom would I have to complete an entire section of level over again because of an issue with a drawing of mine, botched physics (which does happen more often than I would have liked), failed platforming, or any other forced error. As levels can be upwards of fifteen minutes, this is most definitely a good thing. Definitely look before you leap in this game, folks. 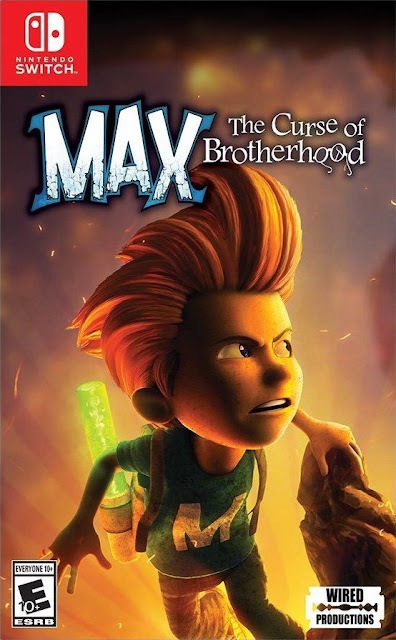 Max: The Curse of Brotherhood has the length of a typical fifteen dollar game. Though, you might ask me, "What the heck does that even mean, Phil?" Well, Max's story is a rather short one, containing seven chapters of around six hours to complete. 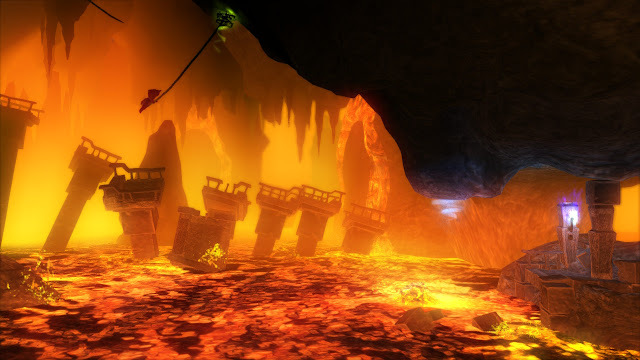 Nevertheless, there are some optional tasks you can perform, such as destroying all "Evil Eye" plants hidden and placed around levels, as well as collecting a piece of a broken amulet, one found in each level. For those that want even more longevity--and don't mind putting up with the game's "sometimes wonky, sometimes not" physics--then you can try beating a given level without dying to earn a badge for that particular level. For those that enjoy the game enough, that's a pretty solid challenge. I, however, did not find much reason to do so, at least with the Switch version. You'll need to use a series of draw points to survive this hot and spicy trial by fire. 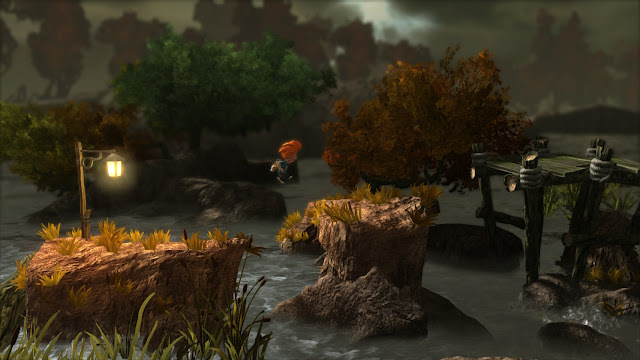 A relatively solid game, Max: The Curse of Brotherhood easily beats its WiiWare predecessor in creating a more compelling and enjoyable adventure. The production values are definitely higher, the game has been more streamlined and tightly designed for less annoyances in gameplay, and the puzzles are more smartly made. That said, the lack of polish, occasionally troublesome physics, and absence of touch-based drawing for the Switch version make for an adventure that isn't one everybody will be "drawn" to.